As a maker space, we love exploring the creative side of science. 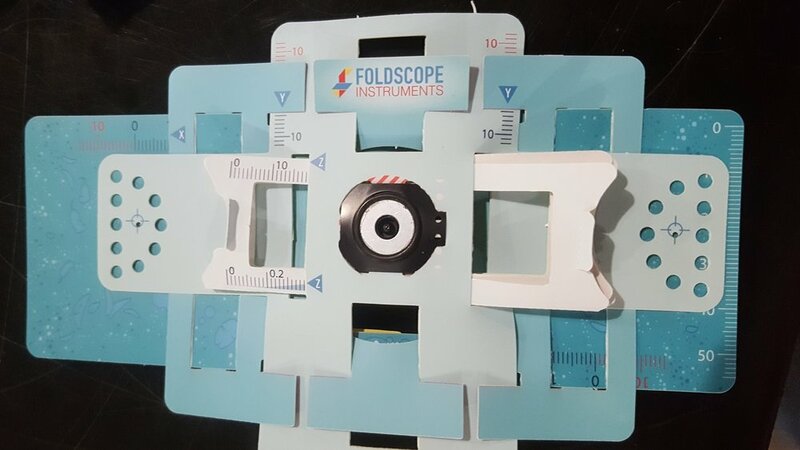 So when one of our members introduced us to Foldscopes, which are origami-inspired microscopes, we had to investigate! These awesome microscopes are not only fun but practical due to their low-cost and small size. They travel anywhere and are even water resistant. The Foldscope was developed at Stanford University after two scientists traveled the world and became frustrated with the lack of accessibility to microscopes. You can learn more about their fascinating story on their website but their overall goal was simple; to create a $1 microscope so that everyone could carry a microscope in their pocket. The technology that went into this little microscope was published in PLOS if you’d like to learn more. Building Foldscope Microscopes in the lab. 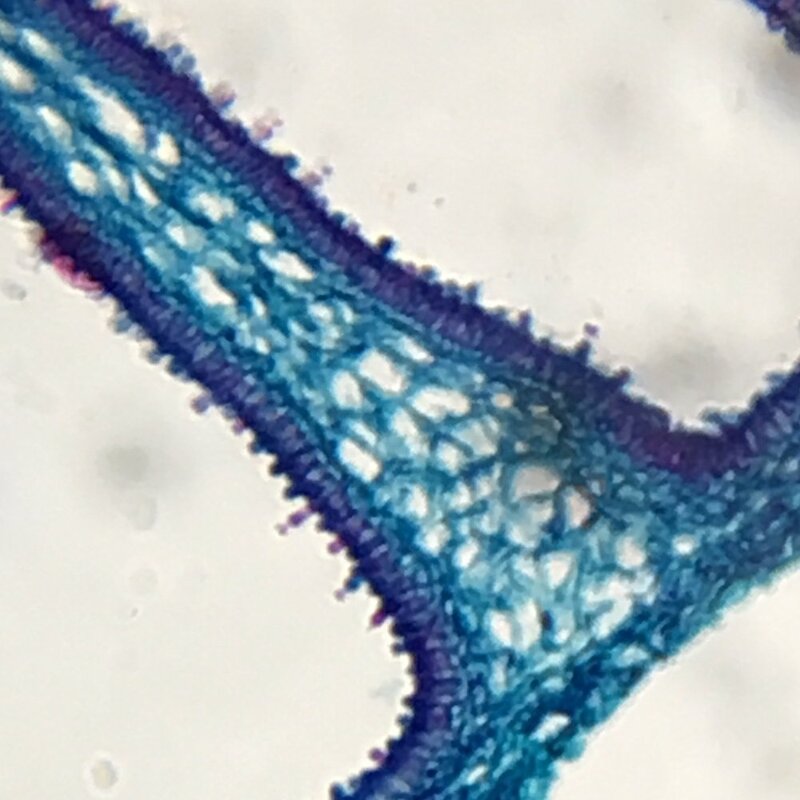 Coprius fungi - releasing spores ~ 140X magnification. 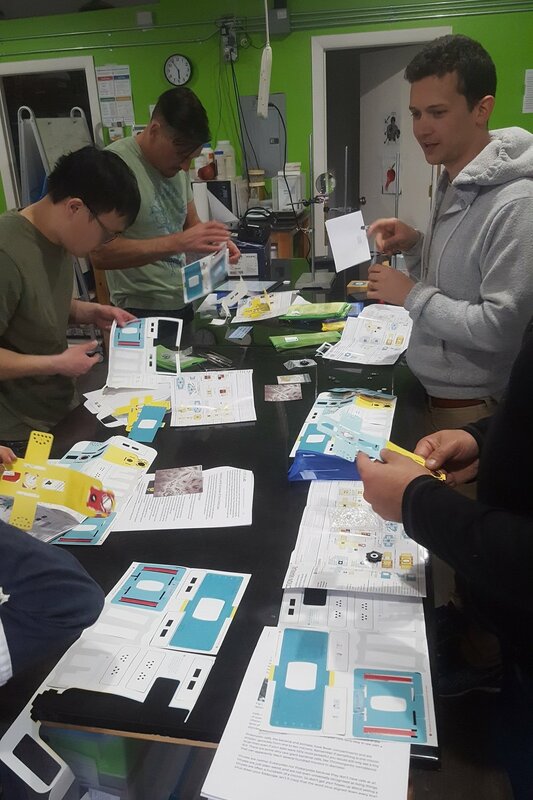 More Foldscope images taken from scientific enthusiasts around the world can be found on their community website called Microcosmos. Be sure to check it out here. We hope it inspires your curiosity!